Belt Drive electric openers are ideal when customers require a quieter machine. Belt Drive is often preferred when there is living space next to or above the garage. Chamberlain garage door openers are sold by the box stores. 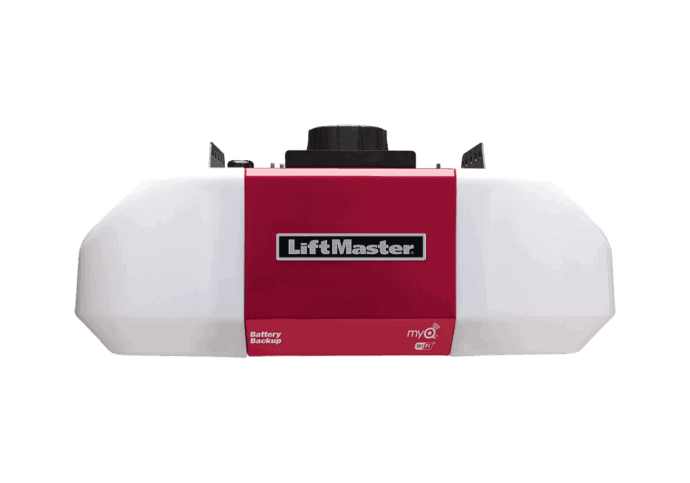 Our LiftMaster and Dodds electric openers come with a one-piece solid rail! 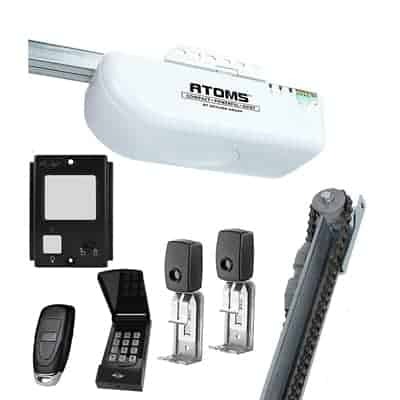 Dodds has a wide range of residential electric opener options. LED display – simple guide through the programming or trouble shooting process. Rolling code technology – remotes roll to a new frequency every time used. Reduces chance of break-in. Rolling code technology – remotes roll to a new frequency every time used. Reduces chance of a break-in. Battery Backup System – ensures your garage door opener, as well as the safety and security features, will continue to work in power outages. Energy-efficient – consumes up to 75% less power in standby mode. 60+ years of service - Dodds has been serving the GTA since 1958. Our prices are fair and most importantly our service is extraordinary. Solid rail - Dodds uses a solid steel rail which is not available at the box stores. It is stronger and less likely to break.